Welcome Jane, it’s great to see you here at Sally Lunns. Hello Jo, thanks so much for inviting me to chat and enjoy this lovely tea with you. I’ve been looking forward to it so much. My first question as always is to ask my guest a little bit about themselves. Gosh, that’s a dangerous invitation. How long have you got? Well, I’ve been married forever to someone I met when I was sixteen. He was in a band that came to live near me and pestered the life out of me until I agreed to date him. He proposed after two weeks. We have a son and three grandchildren so I guess I liked his music. We eventually worked together in the Music business, in management, after he gave up performing and have lived and travelled all over the world which has been fun but seriously hard work. Not for the faint-hearted. How long ago did you first begin writing and what was the trigger? I suppose I have always wanted to write. I’ve had a love of words, books, paper and all that goes with the act of writing and reading since I was very young. I have always been a book-worm and somewhere along the way I must have decided that I wanted to write as well. The exact moment is not apparent to me, but throughout my life I have scribbled notes and ideas on bits of paper and in note books, just in case I guess. I have always had an over-active imagination and love drama of all kinds. I had a few abortive attempts to write a book many years ago but our lifestyle really made it impossible. On the road constantly without any free time for decades, and spending time in recording studios with songwriters provided little time for me to indulge myself. My whole focus was on other people, their careers and their songs, which I did help with (on the writing side) from time to time. The trigger I guess was being reunited with a lifelong friend who we hadn’t seen for years, but kept in touch with – Christmas cards, but saw rarely – you know how it is with some friends. She is a successful award-winning writer and at one time had been my husband’s (band’s) fan-club secretary whilst enjoying a career as a journalist on Rock and Pop magazines. Anyway we met up again about three years ago, and she kept saying I had a story to tell and I should do what I’ve always wanted to do, and write. So after a lot of faffing about I got down to it and sent her my efforts which she loved and called ‘brilliant,’ which encouraged me, though I admit I thought she was just being ‘kind,’ and didn’t want to upset me! To cut a long, long story short – for fear of sending you to sleep – I started to write a novel which she really thought should be published and spurred on by her comments I also tried to have a go at Short Stories and Flash Fiction, which seemed to be well received by other people who read my efforts. I am now working on two other novels as well. She then asked me to co-write a book with her which we are doing at the moment, so I was persuaded that perhaps I might not be that bad after-all if she had the courage to work with me on a joint project. I’ve completed my parts and she is writing hers now in- between having her latest book published, and being contracted to write three others as well. You seem incredibly busy with projects. The novel or the short story – have you a preference and if so why? No, I don’t think I have a preference. I really started writing short stories and flash fiction to see if I could. I enjoy it and it is a challenge for me, making me use words and pace differently. When writing novels you have more time and space to develop characters and be more descriptive, allowing the plot to unfold. I think it is more satisfying to look at thousands of words and know that they came out of my imagination and they are unique, even if the genre is not. So I might be leaning towards the novel more…. Photography is also one of your passions and I understand helps with your writing. Is this a spontaneous thing – capturing something that you just happen to see or do you plan it in a more structured way? My whole family is into photography. I never realised that my siblings are camera addicts, not just me, until I met up with them all after years of being on the road all the time. We all photograph the same sorts of things and in the same way. So cool. My husband and I used to always take photos of our artists and lots of video too, in addition to the official photos and video being shot by professionals for the Record companies etc., though back in the days of film with all the costs involved we didn’t take so many personally, as we did in later years. If I had to pay for film now there is no way I would take as many photos as I do. I love to walk and explore woods and countryside and on those walks I usually have my camera with me and so I take lots of photos. Sometimes a location will spark something or a stretch of water – which inspired my short story, ‘The Look,’ which is in the anthology ‘I Am Woman, Vol. 1,’ – the whole plot came into my head as I took the photo and I nearly ran home to write it. Old buildings, churches and villages often set me off after I’ve visited and taken photos. My novel (still being laboured over), ‘Ms Birdsong Investigates,’ is set in rural Oxfordshire and Berkshire in what is called The Vale of the White Horse, and old photos and walks I had been on years ago gave me the visual for the story originally. A touch of the Agatha Christie coming over me I think! So, yes; I take photos and use them as visual notes to remind me of locations and how certain locations work. I draw maps too. I am sure many writers do the same. I don’t go through any elaborate rituals setting up the lighting and so forth. I am strictly a ‘point and shoot,’ type of gal. There might be some thought about angle and the setting of the shot, but really it is nothing scientific and if the photos come out well I am happy, but it is more luck than judgement. You were involved in the music business for many years. This must have not only been a very energizing but also glamorous environment to work in. How did this career develop and were you involved in any specific areas? I love it when people tell me they think the Music Business is glamorous. The end result may seem to be but I can assure you it is a battle-field, bloody and with few prisoners taken. Long hours, repetitive activities such as recording the same word a thousand times until it has the ‘right feel,’ or re-writing, re-recording and mixing the same song over and over until it is acceptable. Endless travel in close proximity to a lot of people you’d never invite for dinner normally; never knowing which city, hotel or room you happen to be staying in because all the cities, hotels and rooms morph into each other and being so tired and disorientated, your brain refuses to acknowledge where you are and what time it is. Trying to recall the important faces and names and trying to forget the hundreds of people you meet daily who really are not ‘anyone,’ of importance to the artist or your own career. The energy required is almost super-human at times but I know what you mean. When you hear a voice, piece of music or a song which ‘hits the spot,’ and that shiver goes down your spine and your hair stands on end…..or when you see your artist performing magic on stage and all their little tantrums and annoying habits disappear, well, I guess that is energizing. I call it relief. I said earlier that my husband was a musician and when he decided to call it a day, we decided to pass on all his (well our), knowledge and experience to others trying to make it in this cruel business. I was working – one of us had to be grown-up – in the Civil Service and it was a big decision to take. Anyway, we decided to go initially into management which involves discovering talent, mentoring and shaping it and then exploiting it all in the hope of obtaining a Recording and Music Publishing contract eventually, and the ‘fame and fortune,’ we all believe will follow. We worked in promotion as well, putting on big shows at the London Hippodrome initially which meant getting 5,000 bodies through the box-office every month, or we ended up owing the club money. We had recording studios and managed record producers, songwriters and artists going on to have our own music publishing company as well. We managed a couple of actors for a while, from one of the Aussie soaps and an American TV series. As well as obtaining Record contracts for our artists with the Major labels, and then getting them on tour, having their music on television and movies soundtracks, and everything else that goes with the exploitation of the artist and their catalogue, we also worked with other managers needing our experience and contacts. We worked all over the world, had hits, and placed music on the most successful television series worldwide at the time, and placed some of the artists into the shows as well. Managers are not Agents, so it is important not to confuse the two. A Manager controls every aspect of the artist and their career. An Agent finds them work, such as tours, concerts, gigs etc but not the TV, Movie and Recording side of their career. Of all the celebrities you have worked with who was your favourite? There have been so many I cannot really pick a favourite. Alice Cooper was (is) a lovely man and we had a lot of fun working with him back in 1989. In fact I am writing about it at the moment – one of the novels I mentioned before – because some of the musicians we managed back then were auditioning for his touring band at that time – he was about to release his album, ‘Poison,’ and the whole thing was so funny and mad it cries out to be a story. David Cassidy was a really nice man too, not at all what we expected. One of our artists recorded a duet with him on one of his albums and we spent a great deal of time with him in Los Angeles where we lived back then. We were making an album with our artists and he asked if the female singer would sing with him because he had heard her voice and was knocked out by it. Los Angeles had just experienced the race riots (Rodney King), and so we also took part in the ‘Stand and Be Proud,’ fund-raising concert and album as well. The year we worked with David was memorable in many ways because we had terrible fires raging across the canyons, floods and mud-slides and then ‘The’ earthquake. All we needed was the plague of locusts. David Hasselhoff was a really nice man but kept reminding us how many records he was selling in Germany all the time we filmed Baywatch with him. The number rose every time we met him, but he and Pamela Anderson were incredibly kind to our artists who were on the show with them. We also recorded music and songs used for the whole series so it was a long relationship with the series and the producers. Mariah Carey was a very nice woman, again not what you’d expect having heard all the tales about her. It is hard to pick any one person from a career that has covered thirty odd years. I could list the absolute b******s we worked with, but then I might get sued. Cripes. I have no idea. Some days it was all wonderful and sheer heaven and then other days I hated it and everyone around me and just wanted to see the back of them all. It is such an intense and personal relationship, manager and artist, and working in Hollywood with the icons of the Music, Movie and TV business is not only exciting, inspiring and unreal; it’s also the absolute pits. The whole business brings out the very worst there is in human behaviour. Getting into the American charts was amazing. There hadn’t been a British artist in the American Charts for ages and ages. Having chart hits in SE Asia was incredible, working with Chinese artists and working with Record companies in Taiwan when few Western companies in the music industry ventured there to do business; that was thrilling. Working with an amazing Thrash band who were not only talented songwriters and performers but also really very funny too….I cannot pick the best moment. Really, I cannot. How long do you have? I think you will be wishing you had never asked me Jo. Let me see, whilst I am thinking I’d love another cup of tea and a scone please. Not only did we manage our own artists, I mentioned we worked with other managers as consultants, helping them with their artists. I do recall an audition one of these managers wanted me to attend when he was considering taking on a new rock singer and wanted me to watch and listen and then give my opinion of him. We sat alone in a recording studio, the engineer in the booth ready to run the track so the vocalist could sing for us. The track started an in walked a clone of Steve Tyler; long black hair, tighter than tight clinging pink satin tights, a slashed to the waist tee-shirt with a huge gold medallion around his neck and half of Max Factor’s factory on his face. I particularly loved his fire-red lipstick and black eyeliner. I looked him up and down as he grabbed the mic, postured and posed and that is when I realised he had something in his trousers, at the top of his leg. I tried hard not to stare but I couldn’t help myself. As he started to sing – I cannot for the life of me recall anything about the song – and moved around, provocatively strutting and posing, I noticed that the ‘thing,’ at the top of his leg seemed to be moving down his thigh. He tried hard to restrict its journey as he sang. The track pounded out and he belted out the lyrics to the song and at one point decided to try to do the splits whilst leaping in the air. It all nearly ended his career as he tottered to regain his balance on landing and did the splits on the wooden floor. I watched the engineer holding his head in his hands as his shoulders heaved and the manager next to me kept clearing his throat. My face ached with the effort of containing hysterical laughter. The track went on and as the vocalist carried on singing he managed to stand upright after a lot of slipping and sliding, by which time the ‘thing,’ in his trousers had reached his knee. I couldn’t take my eyes off it by this time, fascinated as to what it might be. I think I knew what it was supposed to have been. By this time our Steve Tyler was groping his leg trying to ease the ‘thing,’ back up to where it was supposed to be, all the time winking at me and pouting in-between getting to the bridge in the song where the key changes, and the song changes too. As he hit the higher notes he managed to return the ‘thing,’ to its original place and he held on to it for the remained of the song and physical jerks, winking and pouting at me. The performance ended, we politely clapped. As he came towards me and planted a huge wet kiss on my face saying, ‘That was for you doll, all for you,’ in a phoney West Coast accent. He bent to shake my hand and the ‘thing,’ shot out of the bottom of his tights landing on the floor in front of me. We were presented with a prize-winning courgette. And no, the manager didn’t sign him. Simon Cowall is not the only one who has had to sit through such mind-torturing experiences. If I had a penny for all the funny situations I have found myself in, I would be bailing out Cyprus on my own. Mind you, Simon has had to sit through meetings with my husband and I as we played him recordings of artists. But nothing that was not worthy of his time and consideration I must say. I can never think of anyone when asked this. I want to say my brothers and sisters because when we get together we never stop laughing – we are all spread across the globe so it doesn’t happen often but when it does the noise is unreal, and we end up rolling on the floor doubled up. Doris Day is a huge love in my life, so I would have her. Daphne Du Maurier and Agatha Christie as well, and the amazing Fred Astaire if I really had to choose, though part of me wants Einstein and Tim Berners Lee as well. All the things I really love are represented. Thanks so much for a lovely tea and I have enjoyed chatting to you so much Jo. I hope I haven’t hogged the conversation too much; so much to say, so little time. It has been a blast. We must do lunch some time….I’ve just come over all ‘Hollywood,’ forgive me. Thank you for coming along Jane and no you didn’t hog the conversation; for me the most important thing about Tea and Talk are the guests and the great interviews they deliver and you have done just that! http://wp.me/2dg55 – My author Blog. The pod-cast of the Honey Trap, Flash Fiction. 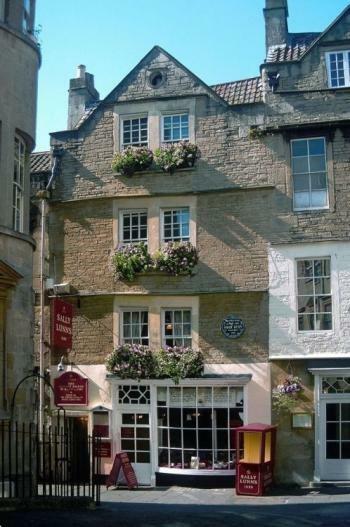 Next weekend Tea and Talk at Sally Lunn’s will be hosting the lovely Sheryl Brown, a lady who writes fabulous, funny, heartbreaking romantic fiction. What an absolutely AWESOME post, and what a scoop, too ~ Jo you are one lucky person to have Jane on your blog today! I loved the anecdoates; as you know, I’m addicted to Jane’s little insights into the music industry (which I stubbornly continue to believe is glamorous and exciting, LOL) and the fake-Steven-Tyler anecdote made my day. Brilliant! Rock on!! Nicky, thanks so much for taking the time and trouble to pop in and have a read. I do hope it came up to your expectations and didn’t put a damper on your ideas about the business. As I said, it brings out the worst in people, but oh my god! I can honestly say it is fun as well and ridiculous and hilarious and sad too…anything which builds and feeds someone’s hopes and dreams can be sad if it doesn’t work out. I have had many Steve Tylers audition for me and as I m a giggler at the best of times, think I should get a medal for not laughing in anyone’s face (openly) in all the years I have had ‘talent,’ perform for me. I even had a guy set up a Casio keyboards and sing me a song written for ‘Spit The Dog,’ complete with him barking and meowing the chorus and bridge. No wonder I like a little vino collapso now and again. I may share some more gems one day if asked. Yes, I really wanted Jane on my blog as I knew she would give a great interview – and she did! And I could listen all day to her talk about the music business! Wonderful! And as you say Rock on! Jane Risdon’s interview was great! She is such a well-rounded person. She has hobnobbed with so many big names! My only claim to fame musically is that I saw Elvis in person in concert in Chicago in March of 1957! He was wearing his gold lame suit! I tried to get his autograph after the show, but this was when he started to leave the building immediately! But Jo, great interview with an very interesting lady, Jane Risdon. Dave, thanks so much for reading this and for such a lovely comment. I am glad you enjoyed it and yes we do have Jo to thanks for enabling me to share my hobnobbing tales with you all. Many thanks once again. Appreciated. Reblogged this on Jane Risdon. What an amazing life story, Jane! I’d love to read about the absolute b******s but it’s obvious why you have to keep silent on that one. And Fred Astaire is on my wish list too! Talking of absolute b******s Nicola, I’m leaving work for good in seven weeks and am currently planning a blog piece about managers I’ve worked for! I loved the interview. It was as enjoyable as I hoped it would be when I decided to take the time to check it out. And I remember reading about Ms. Birdsong before somewhere and looking forward to reading that. The b****s list would probably be a lot of fun. Pagadan, the b******s are a lot of fun and would make your hair stand on end. I would say more but you know the rich and famous, they sue and can afford it….also, I wouldn’t want the M***a after me – horses heads and concrete boots etc…..I jest not! I will write about them one day, when I think some of them are well dead!! However, I am being interviewed again on 1st May and 9th May so if you want to continue this story do pop over and see the links when I post them. Jo this was such fun, I cannot tell you and if you ever want a few more tales, do ask. Meantime I am enjoying reading about everyone else and hoping we all keep in touch with each other as this has been such a blast for me. Ms Birdsong Investigates is having a make-over. She is being a pain and stamping her foot a lot as she thinks people are actually interested in her exploits and wants to be out there in the world…..she can wait a bit longer! I am so curious, and I think you’d make it a fun read, but you do have to be careful. It wouldn’t be as much fun if you fictionalized it. Lol….I could fictionalize it but not sure it would be believable – sounds odd but I hope you know what I mean. Some of the guys we worked with had to take ‘The Fifth,’ in order to stay out of jail for various reasons and so everywhere they went, body-guards came too. First time they took us to lunch there were more minders than people in the restaurant. All the ‘hosts,’ sat on a long table (Italian restaurant of course), with their backs to the wall so they could watch who came and went without their view being obscured. We on the other hand, had to sit with our backs to the room, worried sick in case there was a sort of St Valentine’s Day event – it was just like a scene from ‘Some Like It Hot,’ when George Raft and the South-side Chapter got it when the birthday cake opened up and machine-gunned the lot. I never sit with my back to the room in any restaurant these days….I need to know if I am going to get plugged! Not that I have ever done anything which leads me to believe I might be – but as my grandmother used to say….’show me your company and I’ll tell you what you are!’……lol. I think of her sayings a lot as there are many occasions when she has been oh so right! Pagadan, you really must see it all the way through. I had a chat with Susan Finlay recently and there is some MOB stuff on there if interested…..check her blog out. Let me know if you enjoy it.